CROWTHERS SHARE EXCITING TOURING TIPS WITH PROBUS COMMUNITY. 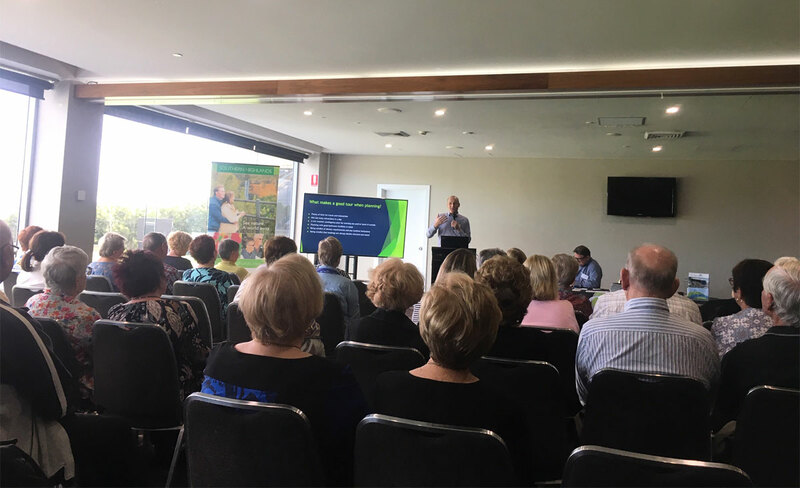 Crowthers coaches entertained around 20 Probus groups from the Sutherland Shire and surrounding areas at a morning tea held at Sharks Leagues club during the week . MD Paul Crowther and Operations Manager Chris Niblock, shared their many tips about Coach travel and some of the fantastic destinations available to tour groups, that are within a close radius to the Sutherland Shire or superb opportunities for longer hall travel. Crowthers coaches were joined by the following tourist organisations providing further exciting options for a Probus groups next tour.